But the road to change is murky: The rules vary by state, and they're dependent on the very specific legal definitions of "gambling" versus "betting." Currently, 37 U.S. states allow online betting on games that require at least a moderate degree of "skill." Only three states -- Nevada, Delaware and New Jersey -- have legalized gambling on games of "chance," which, under the law, includes poker. "The game-of-skill space has not been very well understood," said Andrew Paradise, the CEO and founder of Skillz, which launched a U.S. betting platform for skill-based mobile games in April and partnered with Glu Mobile (GLUU) in May. "The determination can be confusing between games and between states, both for players and companies. But the business opportunity is big." Globally, it's huge: Analysis firm Juniper Research estimates that gambling on mobile devices will hit $100 billion worldwide by 2017. But some are less clear cut: Despite rewarding skill, both poker and blackjack are considered games of chance. That means residents of 47 states can't play them online for money. The delineation can get squishy, and states use a handful of tests to help them classify, according to Paradise, the Skillz CEO. But the states still vary on which tests they use, and how they interpret the results -- for example, some states say any degree of luck makes a game "chance-based," while others allow some bit of chance in what they deem skill-based games. Some use the "predominance test," which says that if a skilled player beats an unskilled competitor at least 75% of the time, that's a game of skill. A "material element" test discovers whether chance is an important component in determining the outcome of a game. The third test figures out whether a game requires a player to bet on his or her own ability to win a game (games of skill do, but games of chance don't). Skillz hopes that widespread pickup of skill-based betting "may be a precursor to [gambling on] games of chance," Paradise said. "But I think it will take five or more years before we see that really happen. It's one of the biggest discussions in the industry." The poker problem: The No. 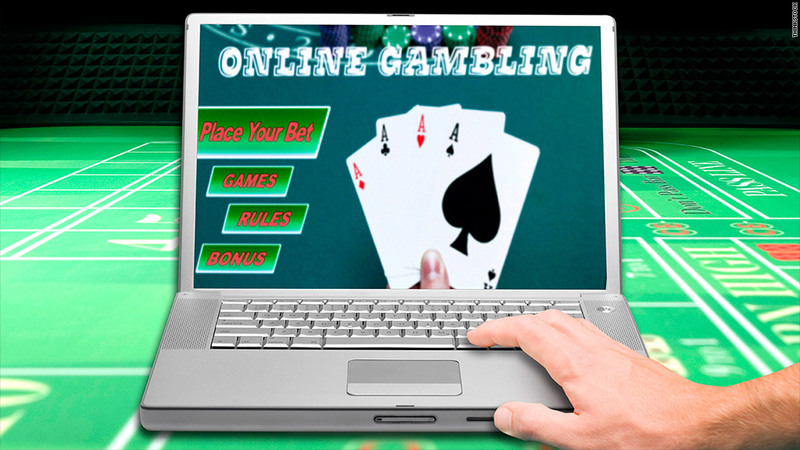 1 most-debated issue in the field, however, is the Big Kahuna of online gambling -- poker. Today, the only legal online poker service is the Las Vegas-based Ultimate Gaming, which launched UltimatePoker.com exclusively for Nevada residents in April. New Jersey officials didn't reply to a request for comment on where its online poker plans stand, and Delaware Lottery director Vernon Kirk said his state hopes eventually to cut deals for its residents to play against people in other states. Ultimate Gaming's co-founder Tom Breitling said he thinks online poker will spread through the United States in one of two ways: Either federal legislation will legalize poker specifically and give states the right to opt out, or games-of-chance legislation will slowly be passed in the majority of states. "We're focusing on poker right now, but online gambling is a lot bigger than just that," Breitling said. "And it could be so much bigger. It took a lot of work to get to this point, but now that it's here I just don't see it stopping."